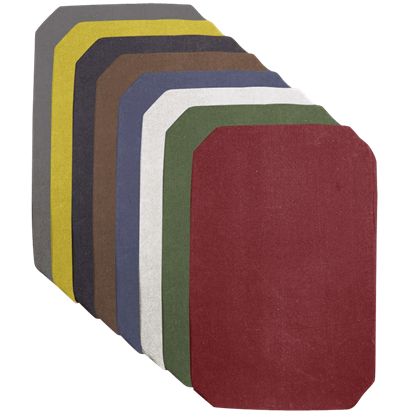 The Felix Childrens Shield Cover is made to fit the Felix Childrens Shield (MY100380) perfectly with a variety of color options and adds fun style to this foam LARP shield intended for the youngest fans of historical reenactment. The Richard Quarterly Shield Cover features two colors divided into quadrants at the center. 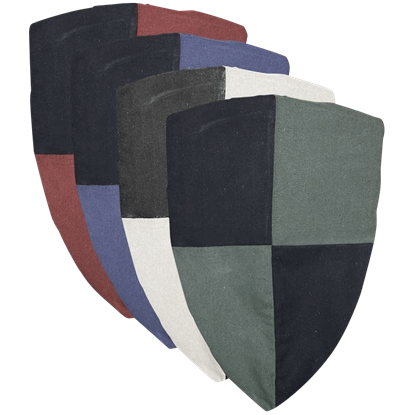 Made of sturdy cotton, this shield cover is specifically intended to fit the foam LARP Richard Shield (MY100335), not included. 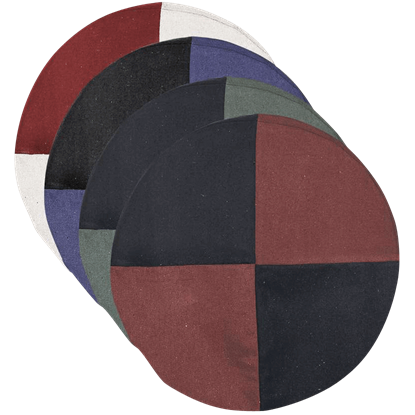 The Richard Shield Cover, made of sturdy cotton fabric, is a cover for the triangular foam LARP Richard Shield (MY100335). 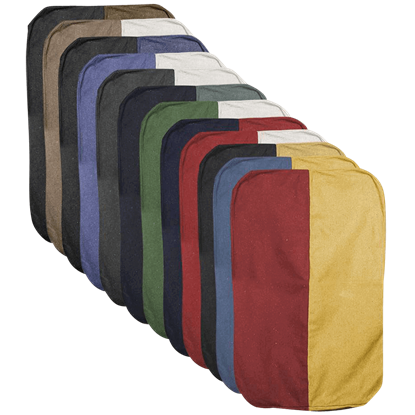 Available in a range of colors, use this convenient cover to quickly and easily customize your shield. 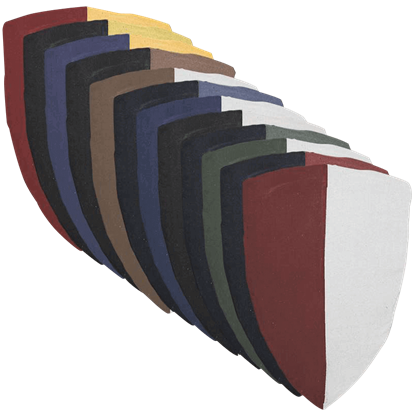 Add personal style to your shield with the Richard Two Color Shield Cover, specifically designed for the triangular foam Richard Shield (MY100335). 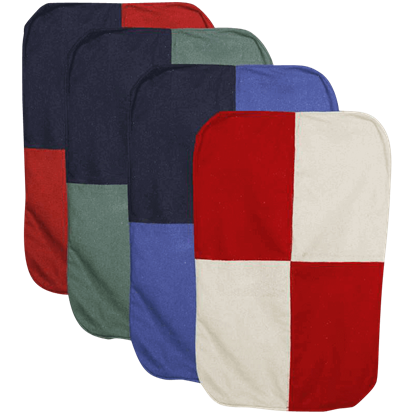 Made out of sturdy cotton, this shield cover makes a great base for customization. 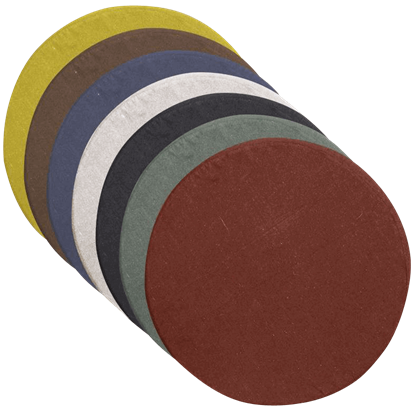 The Sven Quarterly Shield Cover features two colors divided into quarters at the center of the shield. 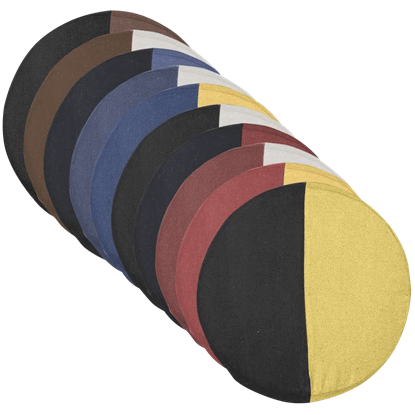 Made to fit the Sven Shield (MY100347), these round covers are made of sturdy cotton canvas and come in many different colors. 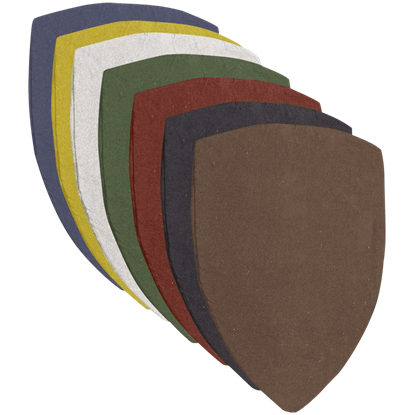 Add the Sven Two Colored Shield Cover to your foam LARP Sven Shield (MY100347) for fun, customizable style. 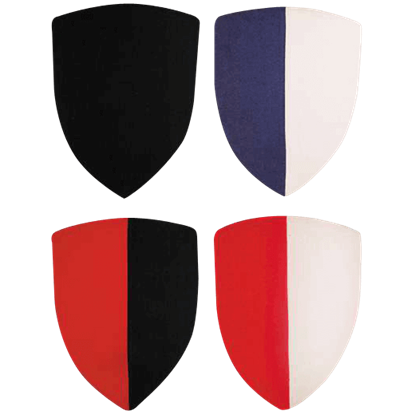 This shield cover, intended for the Sven Shield, features two colors divided vertically on the round face of the cover.